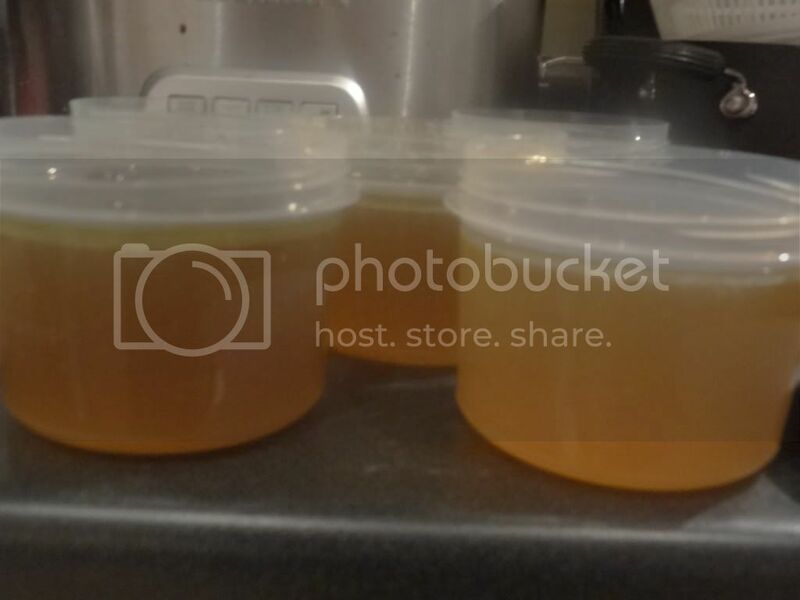 I've been making my own chicken stock for some time now. But I've never made beef stock. Why, you ask? Well, unlike chicken (or turkey) stock, which I use several times a week, I use beef stock so infrequently that a store-bought box lasts me ages. Plus, I knew that making it wasn't as simple as chucking everything in a pot. Then one day I had the urge for french onion soup. A pot of french onion soup requires anywhere from 4-8 cups of beef broth/stock at a minimum so I decided it was the excuse I needed to give beef stock a try. It was nearly as simple as chicken stock--just an extra step of roasting the bones to bring out their flavor. Plus, I found beef marrow bones, which I'd never heard of, for just a couple of dollars at the commissary. I also threw in a package of stew meat which was another few dollars. Thus, for a total cost of $5-6 I got 16 cups of gorgeous beef stock without out any fillers or excess sodium. After browsing the web for a how-to, I generally followed this recipe from Tasty Kitchen. 1-2 lbs beef stew meat, or any cheap cut cut into cubes. Heat oven to 400°F. 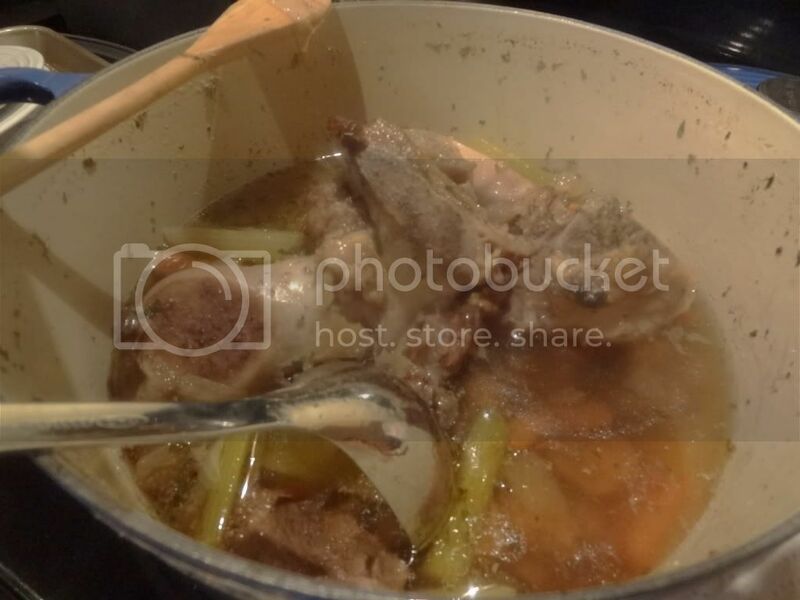 In a dutch oven or roasting pan toss the bones, meat, carrots, and onion with olive oil. Sprinkle with salt and pepper. Roast for an hour, making sure that nothing burns by flipping halfway through the roasting process. If using a dutch oven, after roasting the meat and veggies add the remaining ingredients and fill with water. Turn to medium high and gently scrape the bottom to deglaze. (Alternatively, you could remove the meat and veggies and deglaze the pot or pan using 1/2 white wine and 1 c water.). Bring to a boil, then cover and reduce heat and simmer for as long as possible. Skim off any fat that may foam on the top. (You can also put everything in a crock pot for 8-10 hours). Strain broth and skim fat before storing. I usually let the broth come to room temperature, then refrigerate overnight. The fat will solidify on top and be easily removed before use or freezing.